AUGUST 20, 2003 (INDIANAPOLIS, INDIANA) – Air Road Express (Air Road), a leading provider of outsourced Supply Chain Management and time definite transportation services based in Indianapolis, has been acquired by Steve Robinson, a former Vice President of Logistics for Wal-Mart, and Reliant Equity Investors, a Chicago based private equity firm. The new company will operate under the name of Air Road Logistics, and will continue to be based from its current headquarters in Indianapolis. Air Road offers supply chain solutions including air and ground-based freight expediting, full truck load transportation, warehousing, distribution, inventory management, outsourced transportation management, and third party vendor-managed inventory (VMI). Air Road specializes in exclusive NAFTA-oriented LTL consolidations from origin points in the East and Midwest to every major border crossing gateway into Mexico. Today Air Road primarily services the Automotive & Industrial, Retail, Consumer Electronics and Consumer Packaged Goods industries. The Air Road management team will retain the talented executives who have built Air Road, while supplementing it with additional outside leadership. Heading the new company will be President and CEO Steve Robinson, former Vice President of Supply Chain Management and Global Logistics for Wal-Mart. Robinson is a well-known industry veteran, with over 25 years experience running operations for i2 Technologies, CNF, UPS, and Roadway. Joining him as President of the Logistics Group will be Frank Lapierre, former Chief Operating Officer of 3PL Copera, and co-founder of Mitsui USA. Other new executives include Senior Vice President of Sales Thomas C. Donovan, former Sales VP for APL Logistics; Chief Technology Officer Ganesan Ramanathan, former Senior Director of Core Technologies for Siebel; Director of Distribution Heinz Ahlborn, former Chief Solutions Design Engineer with SwissLog; and Automotive Sales Director Larry Gordon, former National Automotive Account Executive with CF Motor Freight. “Our vision is to expand our services and geographies for Air Road’s customers, so that we can deliver leading-edge, fully-integrated supply chain solutions while maintaining Air Road’s reputation for high service quality,” said Robinson. This new team complements the current management strength of Air Road. Dan Frieden will continue to serve as President of Ground Transportation, drawing on his track record as President of Greyhound Southern and President of Zipp Express. Ernie Krebs will continue as CFO, leveraging his experience as CFO of Zipp Express. Charlie Geyer will remain Senior Vice President of Logistics Operations. Jim McCrary will continue as Vice President of Regional Sales. The full team will remain intact. “Our new company will boast a combination of over 150 years of combined supply chain operating experience and world class know-how rarely found in the current world of transactional outsourced logistics,” said Frieden. BG Strategic Advisors arranged the transaction between the two parties. Air Road Express was founded in 1989 and offers supply chain solutions including air and ground-based freight expediting, full truck load transportation, warehousing, distribution, inventory management, outsourced transportation management, and third party vendor-managed inventory (VMI). The Company also offers a variety of premium, time definite transportation services. Air Road Express’ customer base includes a growing roster of Fortune 500 companies in numerous industries, including automotive and industrial, retail, consumer electronics, and consumer packaged goods. For more information on Air Road Express, visit www.airroad.com. 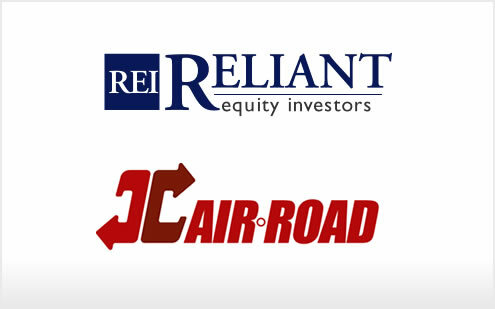 Reliant Equity Investors, LLC, is a Chicago-based private equity firm that focuses on buyouts and later-stage growth oriented investment opportunities. A key attribute of its strategy is to partner with world-class executives and jointly pursue investment opportunities in targeted industry sectors. 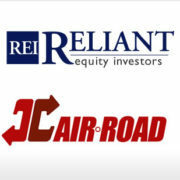 Reliant’s principals draw on 25 years of private equity investing experience and 57 years of operating experience.